An important reminder concerning plane rides, the person sitting next to you, and travel recommendations: Ask follow-up questions. 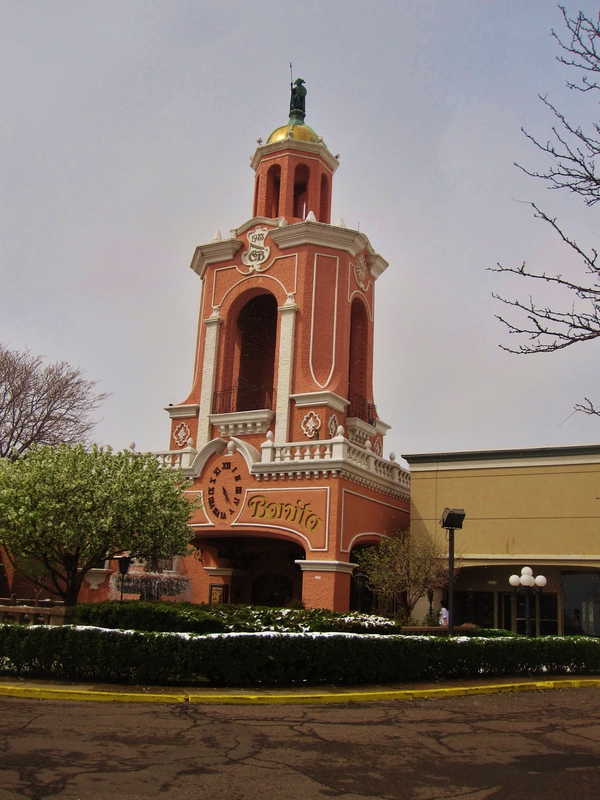 We were talking about places to eat in and around Denver – restaurants she thought were unique and worth a visit – and she told me about Casa Bonita, a Mexican restaurant where they cliff jump indoors. As my eyes lit up, my mind immediately went back to Puerto Vallarta and the most insane cliff jump I’ve ever seen. I thought about another outdoor activity, skydiving, that I had recently taken indoors while visiting Utah. She was speaking and explaining, but I heard three words: Cliff jumping. Indoors. Margaritas. Casa Bonita had apparently been featured/parodied on an episode of South Park, but I had never seen it. All I knew were those three words, and at that moment I decided I would have to go there. I would have to go and see this indoor version of Mexico, designed to look like the cliffs of Acapulco, come hell or high water. Had I asked further questions at that point, I would have known that it was a place for kids – for family entertainment – and that the picture I had in my head of laughing and sipping margaritas amongst the splashes of Mexican daredevils would never materialize. Ignorantly blind, I arrived in Denver and told many of my plans, speaking of the restaurant as if it was some forgotten land. Some crinkled their eyes, tilted their heads at my enthusiasm. They were connecting the dots, wondering what the hell a twenty-six year old with no children wanted with the infamous family establishment, the local Chuck E Cheese’s, if you will. Still, I shrugged it off. Sometimes I find people to undermine great places in their backyards due to overexposure and familiarity. But, as I learned, sometimes they are just being honest with you. 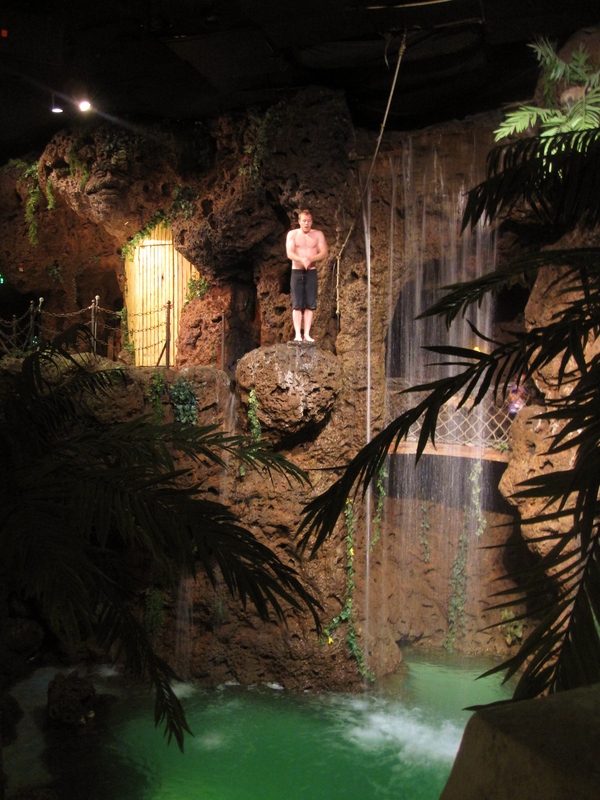 Walking in and seeing the waterfall emptying down into the pool, the man dressed in a gorilla outfit, the spooky “cave” and the arcades and the old-fashioned photo booths, I smiled at my friends, accepting their “told you so” glares with full responsibility. I will concede: I should have done a bit more research and asked some questions before wildly jumping on board someone else’s recommendation. However: I wouldn’t feel comfortable calling myself a traveler if I didn’t end up at places in which I have no business. 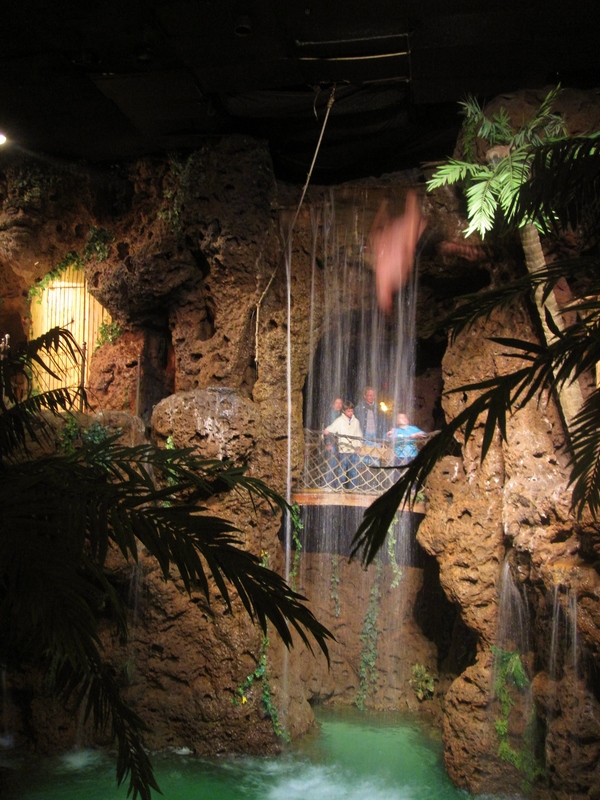 For every Casa Bonita incident, there are three others that turn out fantastic. And all was not lost. 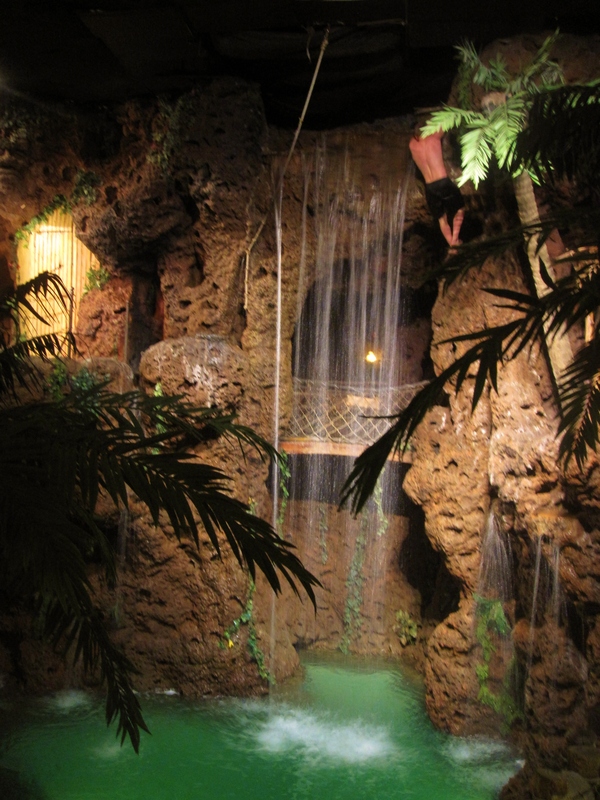 I can now honestly tell you that Casa Bonita is a great place to take your kids for a few hours, grab something to eat and let them run around. I grew a little nostalgic of my childhood, remembering the pizza parties at bowling alleys and backyard barbecues. We never had anything as cool as cliff jumpers, though. For a good laugh and to see the cartoon version of Casa Bonita, check out the South Park episode here.